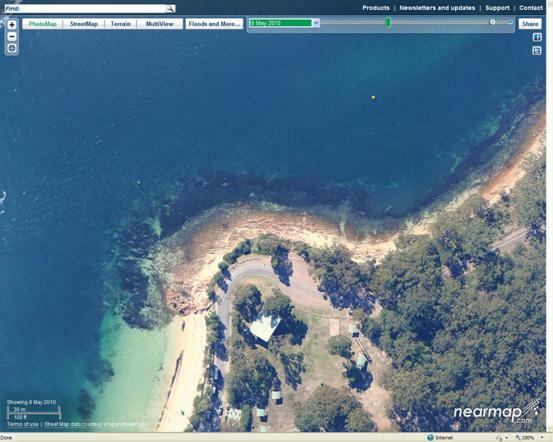 Fly Point is the most popular shore dive in Nelson Bay. The dive site it located just off the rocky point to the East of the marina. There is plenty of parking on Victoria Parade which runs past the site. Divers kit up by their cars and go down a flight of stairs to the entry area, where a path has been cleared through the rocks to a depth where you can don your fins. Diving at the site is tidal and is best on the high tide. Between high and low tides strong currents sweep past the point and diving is not advisable unless you have planned a drift dive. Drift dives however should only be attempted with great care as the main boating channel from the marina runs straight past the point and boat traffic is heavy especially at weekends. On entering the water the diver is faced by a shallow area of seagrass with a depth of 2m. This is a great area to look for Nudibranchs at the end of your dive if you still have air left. After about 20m there is a low wall covered with kelp which drops down to 4m. About 20m further on there is a second low wall (6m ledge) which drops down to 6m. This ledge often has Wobbegong sharks and the resident Green Turtle resting under it. Past the 6m ledge the diver then has 3 main options. 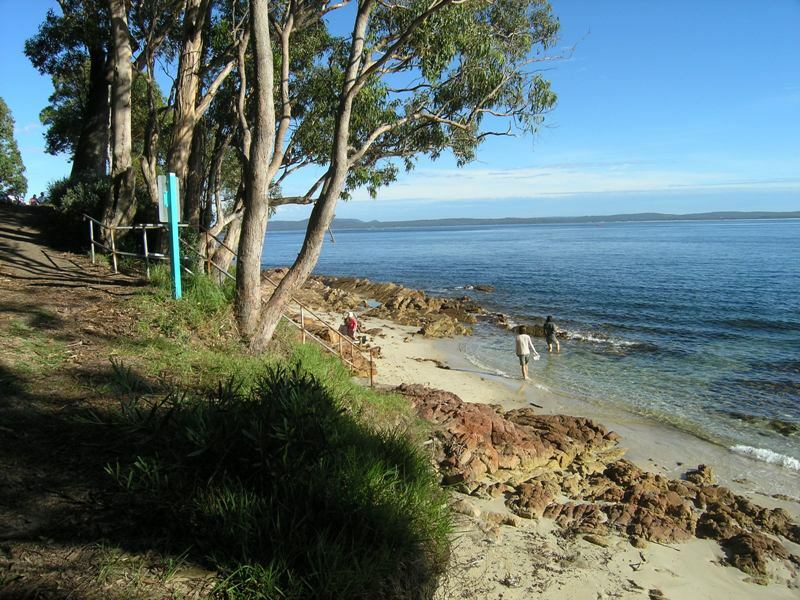 1) Head North-East across a gentle downward slope covered in sparse sponge gardens with small gorgonians and ascidians. This is a good area for searching for macro critters like seahorses, blue ring octopi, cowries, and pipefish. 2) Head North down to 12m and then turn West towards the point. After about 50m there is another low wall at a depth of 12m (12m ledge). This is the best part of the site for fish action. Out from the ledge there are numerous photogenic Maori Cod, schools of Yellowfin Bream, Red Morwong, and Sawtail Surgeonfish. Under the ledge there are often Pineapplefish, Red Scorpian Cod, Wobbegong Sharks, and Bullseyes. In front of the ledge there is often a cleaning station where tropical Cleaner Wrasse can be photographed working on a whole array of temperate fish, who wait patiently to be cleaned. 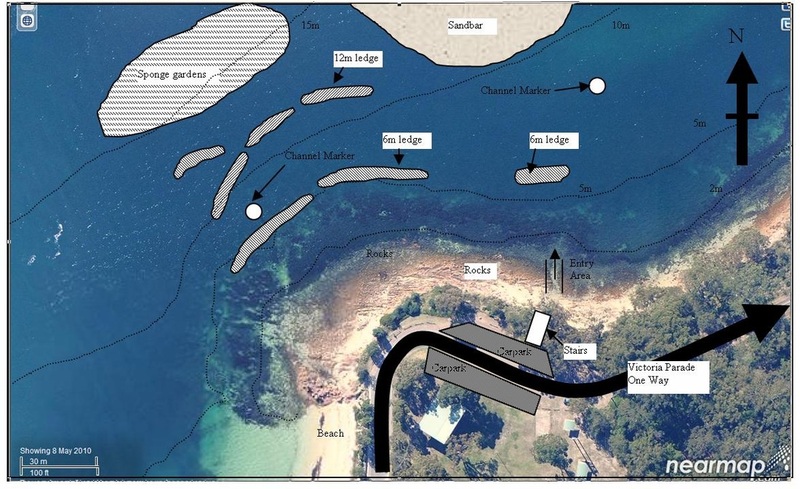 The diver can then return to the starting point if they are low on air, or they can head North over prolific sponge gardens, which slope down to more than 20m, before returning to the entry area. 3) Head West along the 6m ledge towards the point. The ledge is not continuous and in some places it is quite low. The ledge is mostly covered in kelp which hides Weedfish, cleaner clingfish, and more Nudibranchs, The shallows also seem to have more tropical fish over the summer months, maybe because the water is warmer and there are less large predators to worry about.